I was gifted a membership to Capsules for review. All opinions are mine alone. my oh-so-organized closet before my capsule wardrobe creation! There has been a lot of talk about capsule wardrobes online over the past year. 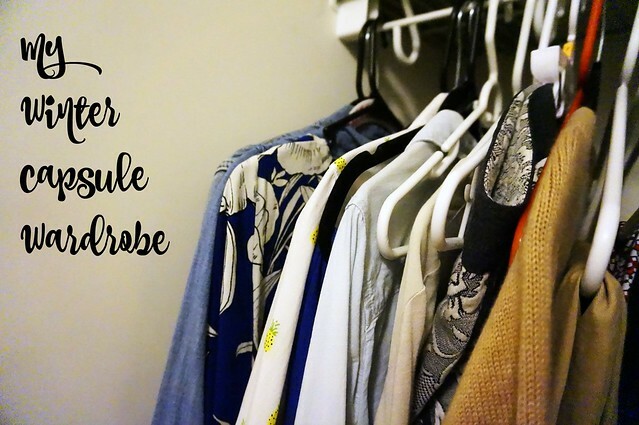 If you’ve never heard of a capsule wardrobe, it’s a wardrobe that you curate for a season. You pick the number of items that you want in your seasonal capsule wardrobe and wear only those clothes for that particular season. Some people don’t shop during the season as well. And people use capsule wardrobes for a variety of reasons! I’m interested in creating a capsule wardrobe to control the size of my wardrobe. My husband and I share a modest-sized walk in closet, but we also store other things in there. So, my space for my clothes is limited. The idea of using a certain set of clothes for a season is intriguing to me. And I have limited my wardrobe in the past, for ’30 for 30′ challenges. But, the task of limiting my wardrobe for a season seems seems daunting. 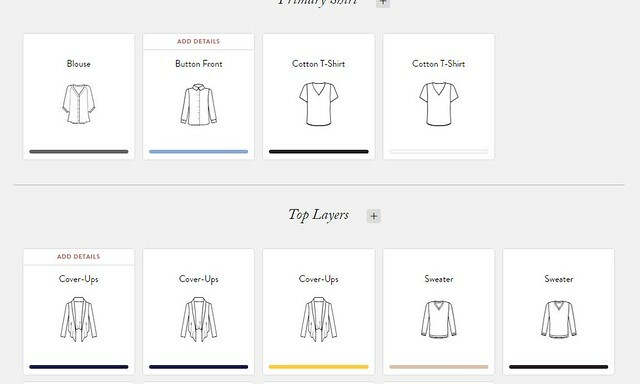 And this is where Capsules comes into play, which is a new website that helps you create a capsule wardrobe. They walk you through the entire process from inspiration to shopping. Now, I created my capsule wardrobe based on my current clothes. My goal is to not shop and inspire myself to create new outfits for the new year! My favorite part of the process was adding the items to my capsule. Since I’d completed my color scheme and notated what clothes I need for my activities (work, home, etc. 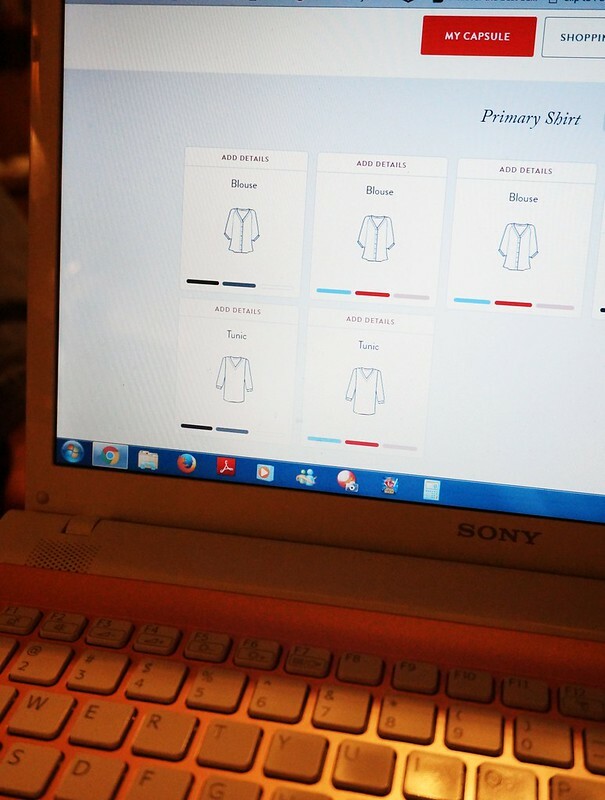 ), I had to choose the items and colors that will actually be in my wardrobe. The items in your capsule are populated after you answer the quiz questions. As you can see in the first picture, it recommends colors from your palette for each item. Item by item, you add details for each piece. This was the most fun part for me, because it organizes all of your items and displays the color. If you can find your items online, you can also add links to the products. I used items from my closet to create my capsule wardrobe. But, if you are creating a capsule from scratch, you can also make a shopping list! There is an area for notes on each item, if you want to remember details for shopping. One of the recommendations of Capsules is to remove the clothes not in your capsule wardrobe and store them somewhere else. Unfortunately, I do not have that much storage room. I have two racks for my clothes, one long and one short. I have removed my capsule wardrobe items and hung them on the short rack so they are separated from my other items. I think this will work very well, because I can see everything together and mix and match it all. I have 29 items in my winter capsule, which surprised me so much!! I honestly thought I would end up with close to 40 items. I have already photographed some of my outfits, and I still have so many more combinations that I can create. The Capsules tool has helped me so much, creating the capsule was a breeze! And not to mention, it was a lot of fun! I’ll be sharing in a week or two my thoughts on wearing my winter capsule wardrobe. I just hope the weather cooperates with the sweaters I chose! In addition, I’ll be doing a closet clear out and will be sharing the results of that. Do you keep a capsule wardrobe every season? Tell me what you think about it!